As the autumn months arrive we see fewer events in the area, we do have a few special events which find favour for our members in September and October including the area’s “Crank down” run. 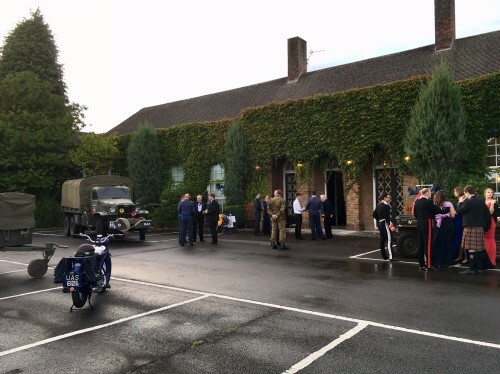 September is of course a special month for the RAF stations where their Battle of Britain anniversary mess functions often involve a number of our members. 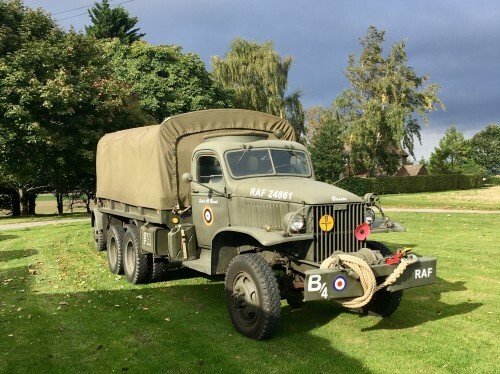 RAF Leeming’s 100 Squadron event saw Mark Lofthouse with “Denise” his Hotchkiss Jeep ( British AB badged ) and “Bessie” my 1941 RAF GMC 353 which was used by the DAF in the Western Desert and Italy, together with a 1945 Royal Enfield WDCO 350 as their mess reception display. 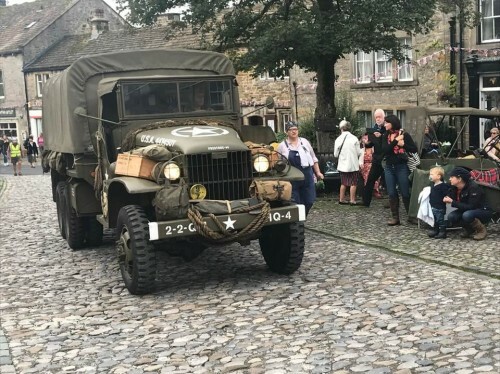 The following weekend saw Grassington’s 1940s weekend, which remains a firm favourite with many of the areas re-enactment groups including “The Trouble-shooters” and the 101st Airborne group. 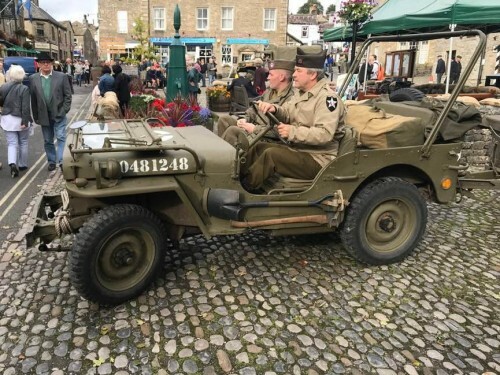 This dales town lends itself to creating a very atmospheric wartime setting, with the whole town turning the clocks back to the later war years. 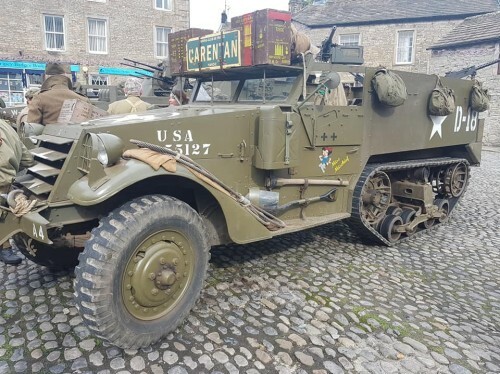 The Dales National Park car park becomes a military camp and vintage fair in a splendid setting. 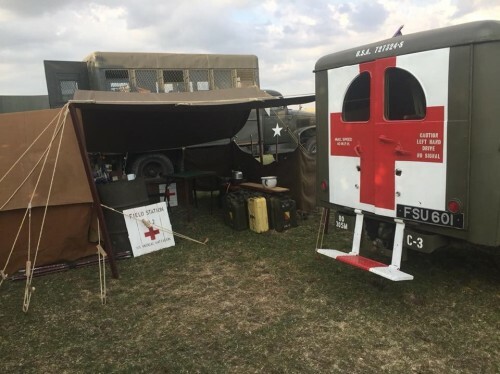 Visitors get to see close up military encampments and displays and of course our vehicles. Even this year’s wet weather didn't deter the large number of visitors and photographers. The Area’s Crank down run took place during the weekend and details of this popular run will follow in the next area report. Pickering’s event in Mid-October is perhaps the UK’s best known and longest consecutively running public 1940s event. Again, the weekends stormy weather didn't put off the large crowds who came to enjoy the Yorkshire moors railway, albeit this years without the German Occupied “French” station which was missed by many. 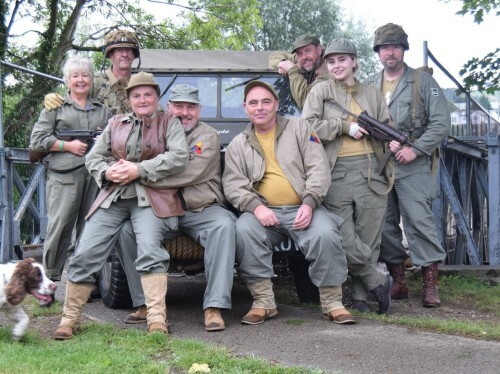 The Sunday vehicle parade was reinstated this year and enjoyed by all. Pleased to say that the appalling weather on the return trip was mostly uneventful for our members. 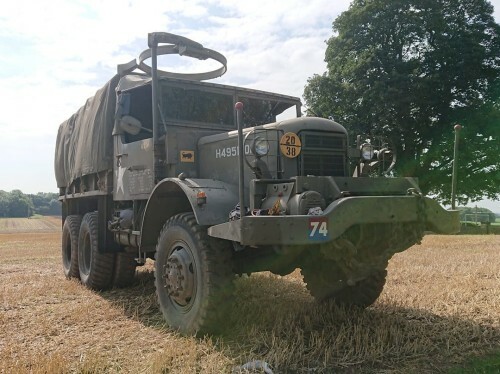 As the event season slows down, many of our members turn their attention to those big restoration jobs we’ve perhaps been putting off and maybe even start something new. So, it’s a pleasure to see a number of new projects in the area. 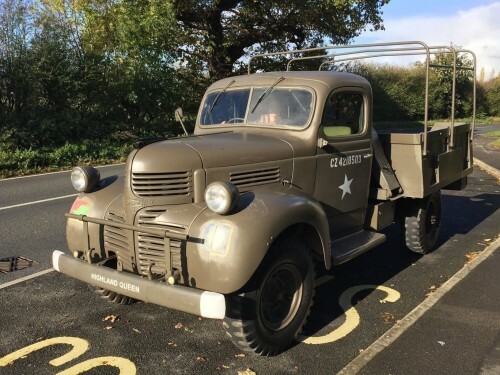 Simon & Debbie Balding, part of The Trouble-shooters group, both own and drive their 1940s vehicles, have now extended their passion to Simon’s dad – with a new Dodge project, so we look forward to seeing this addition to the area’s vehicle lists. 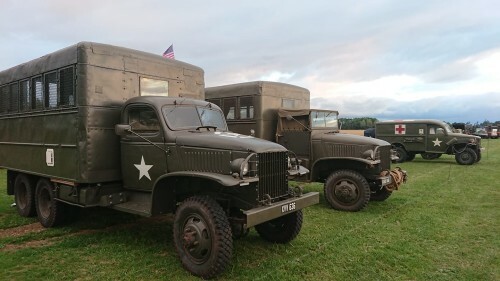 It’s worth noting that “The Trouble-shooters” who enjoyable recreate an American Army engineering unit, have almost as many female vehicle owner drivers as male so busting the popular myth that being an MVT member is all about boys’ toys.